Today we call it getting a dirty look from someone, or getting the stink eye. That same stink eye regard, most commonly given behind your back, was believed by some to carry a curse, delivered to cause you misfortune and/or harm – hence the name evil eye. Years ago, my first business partner advised me to never tell anyone we were doing well in business as it would invoke the evil eye. It was the first I had heard of it. He encouraged being modest and to only ever say “business was steady”. Being younger and less experienced, I was often jubilant and wishing to share our successes with friends & family. Not intending to be arrogant, just wanting to share. Jump forward 20 years and I think that perhaps he was right. 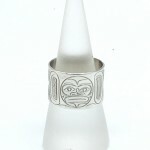 Talismans depicting a blue eyeball, are called evil eye talismans. These evil eye talismans serve as protection to the wearer and serve to redirect the negativity and intended curse of the stink eye away from you and back to its originator. 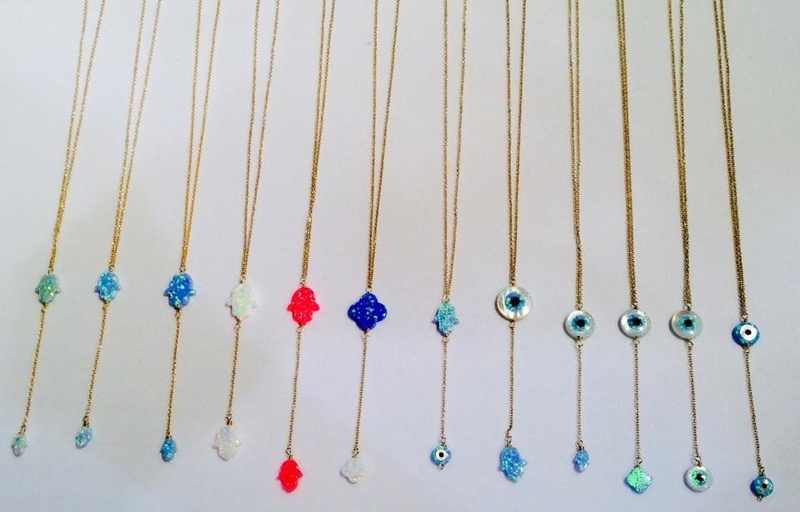 Evil Eye talismans, have your back! I intend to wear one on those days when I feel a little proud, like when my son accomplishes something neat or I am having a great hair day. A dose of modesty and an evil eye bracelet … right back at ya! 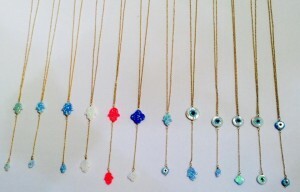 Bija Bijoux is awaiting a shipment of USA, handmade bracelets and lariats with evil eye talismans. We also have a selection of evil eye necklace by Canadian designer Melanie Auld, shown here in labradorite http://bija-bijoux.com/product/evil-eye-necklace/.